Black mat carbon fiber case. 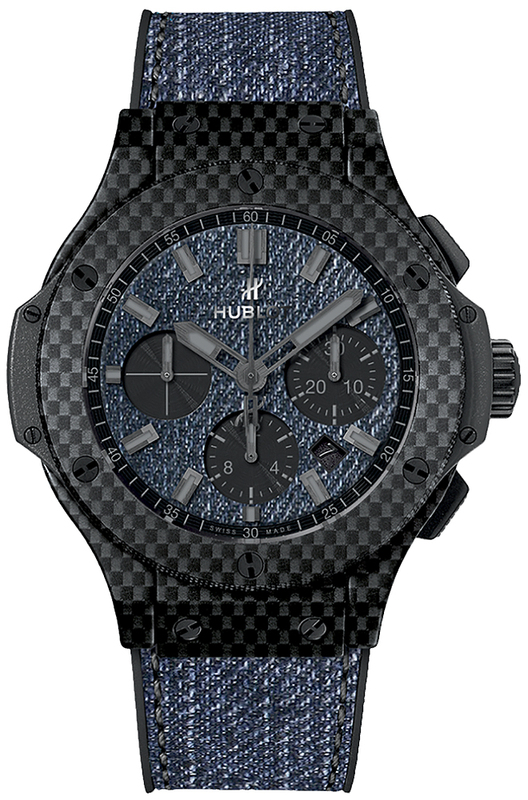 Brushed finished bezel with Hublots immediately recognizable black titanium "H" style screws on bezel. Case center (edge) lateral black inserts. Genuine jeans main dial with black sub-dials. Brushed finished stainless steel hands with luminous filled tips (minutes & hours hands partially skeletonized). Printed minute track with 5 minute Arabic numerals intervals on flat inner bezel flange outer rim of the dial.